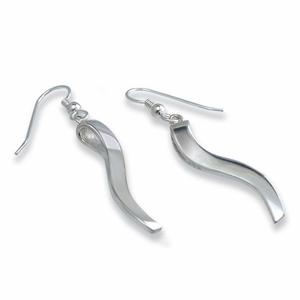 These earrings have been created from petite sterling silver Ogees. The Ogee is an original design copyrighted by Richard W. Berman. These earrings are a perfect complement to the Ogee pendant. They also go well with the Harmony Heart pendant, which has that same spiral shape within it.